It wasn’t easy – deciding to start this blog about the ups and downs of living with fibromyalgia, chronic illness and depression. I feel very awkward talking about something so personal to me, but I want to believe ultimately it might be a good thing, not just for me but for other sufferers. Fibromyalgia is a complicated illness. It carries a wide range of symptoms from extreme muscle and nerve pain, chronic exhaustion, dizziness, and chronic migraines, to insomnia, memory impairment, irritable bowel movement, cognitive difficulty and depression. It’s a lonnnnnggg list of symptoms and we get by on medication and with therapy. No two sufferers are necessarily the same, but what we all have in common is we’re trying hard to live with an ‘invisible’ illness that impinges greatly on our everyday living. An illness that much of society doesn’t understand. We’re constantly being judged. Despite significant research that’s still ongoing, some people and doctors think it’s all in our heads. Some people think we’re all lazy just wanting to benefit from the state. But we know how we suffer. It’s not like that. But with help, I’ll try my best to explain. We’re normal people like you trying to find ways of living an ordinary, happy life, but this ‘invisible illness’ makes that very, very difficult. We don’t appear sick, but we are. Most of us don’t work, not because we don’t want to, but because our bodies won’t permit. We’re often in pain, sometimes stuck in bed, with the simplest of activities making us very exhausted. Most of us do silly things (very often) like putting our cell phones in the fridge and the milk in the cupboards, not intentionally but because of fibro fog and cognitive difficulties. Many of us are hypersensitive to pain, smell and sounds. Poke us meaning to tickle and it might hurt, some chemicals might send our systems crazy, and many of us can’t bear loud noises because they sound like they’re right next to our ears. It’s not easy living with fibromyalgia, and especially not when it is so misunderstood. But I’ve found that it helps to share with people. Not everyone is ignorant or uncaring like those who laugh at us or mock us. Some people want to know more and genuinely don’t know. Some sufferers think they have to suffer alone. I was like that, until I started meeting other people who thought they were the only ones too. That’s why I’ve started this blog. 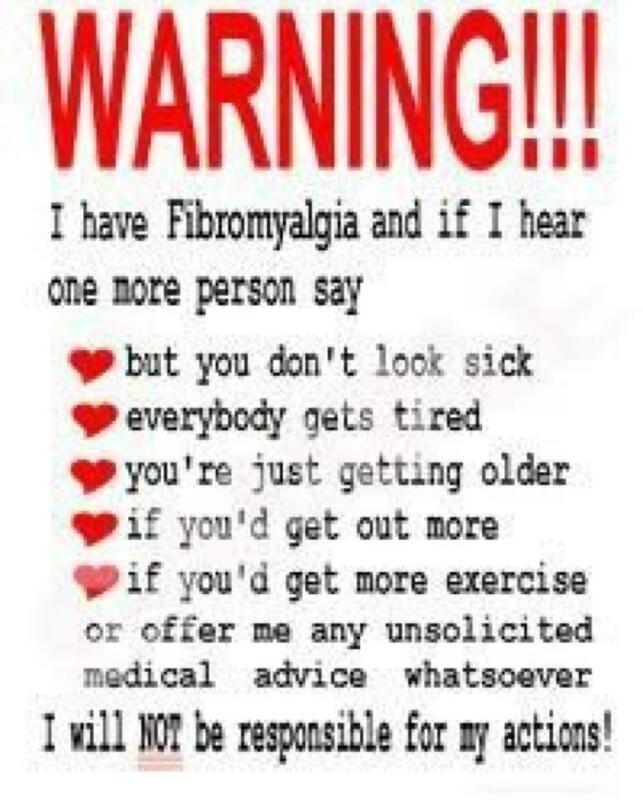 To share with all those who suffer with me, or who want to learn more about how fibromyalgia affects us day to day. Feel free to contact me about any subjects you’d like me to talk about, or to share any experiences. Hope it goes well and i will be checking in every week. well done in creating this blog hun,i am a fibromite too and everthing you have said is so very true. People do need to have more understanding of the condition,when im asked what fm is i find it exhausting telling them what we go through as we have too many symptoms etc with fm. from one fellow fibromite to another. I am very pleased you have put this blog on, like you say the invisible illness. I am looking forward to future posts, take care..hope your pain is quiet!! at the moment. Your words are very eloquent and appreciated by all of us who sometimes need others to say what we have a million other times and seem to not be heard. Thank you! Aw, I feel like you. People even dare to make it into a joke. We must do so, or we will just give up & that will never do. Pain ,exhaustion & depression can’t win. Its already trying to take over.